Welcome in India, You will be received by Premium India Tour representative at international airport and assisted to your hotel. In the Hotel you will have a brief description of your tour and the representative will hand over your documents regarding the tour, Overnight at Hotel. After an early breakfast at the hotel, drive down to Munnar - a quaint hill station nestled on the verdant slopes of tea plantations that exudes a rare old world charm.. At a height of 1525 meters, Munnar offers breathtaking views of the surrounding hills. On arrival at Munnar, get checked in at the hotel. 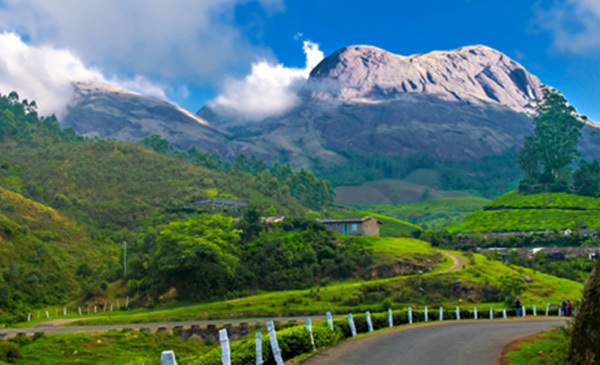 Later in the day enjoy roaming through the beautiful Tea Gardens and National Park of Munnar. This panoramic hill resort will invite you to fall in love with its beauty. The rest of the day at leisure. Overnight stay at hotel. After breakfast at the hotel, in time transfer to the international airport to board the flight back home.